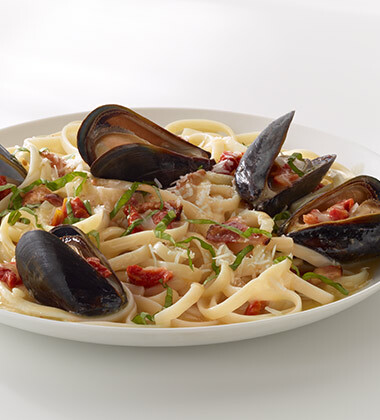 A dynamic sauce made with smoky bacon, sweet sundried tomatoes, sautéed onions and garlic. 1. Cook bacon and olive oil in a pan over low heat. 2. When bacon is almost done, add onions and garlic. Cook for 3-4 minutes. sun-dried tomatoes, chopped	 12 oz. 3. 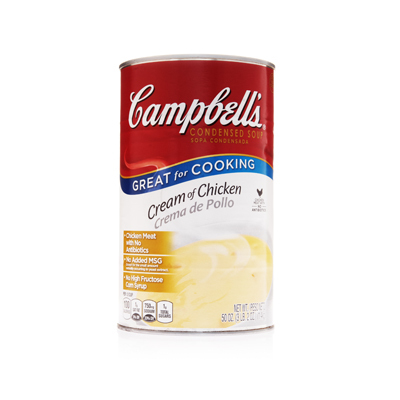 Add sundried tomatoes, water and Campbells®Cream of Chicken Condensed Soup. Bring to a boil. Reduce to a simmer for 5 minutes. Serve with chicken, pasta or noodles.